«With Carte du monde poétique, Herbert Foundation pays tribute to the Belgian artist Marcel Broodthaers (1924 Sint-Gillis–1976 Cologne), whose oeuvre is one of the cornerstones of the Herbert Collection. In 1973 the Brussels art dealer Fernand Spillemaeckers of Galerie MTL brought Annick and Anton Herbert into contact with Broodthaers, whose artistic activities they since then followed intensively for many years. Comprising the ground floor of the exhibition space, Carte du monde poétique presents a substantive selection of films, works, artist books and documents of Broodthaers that are part of the Herbert Collection. The presentation explores several aspects of Broodthaers’s diverse oeuvre, including his high affinity with poetry and literature, his wit and humour as well as the acute questions he raises about the structures that bind the art world. 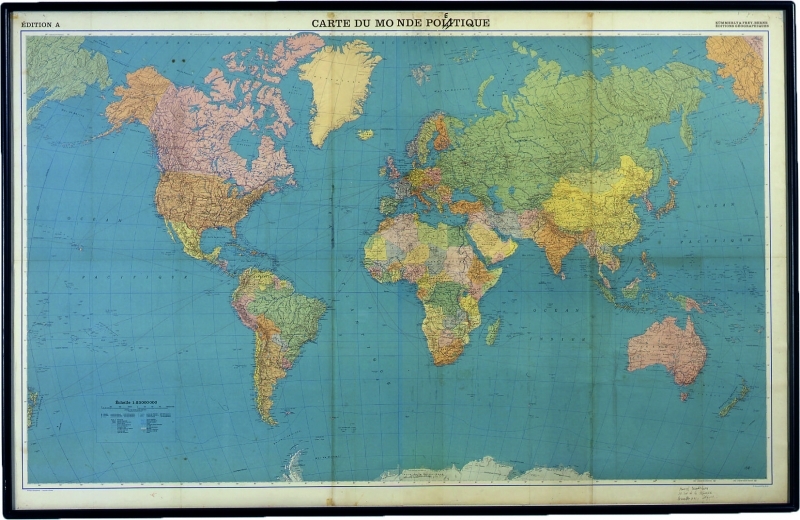 The title of the exhibition is deduced from the work Carte du monde poétique (1968), a large world map entitled Carte du monde politique on which Broodthaers crossed out the letters “li” and replaced them with the letter “é”. The substantive implication of this minimal gesture serves as the framework wherein the presentation of the exhibition is situated.